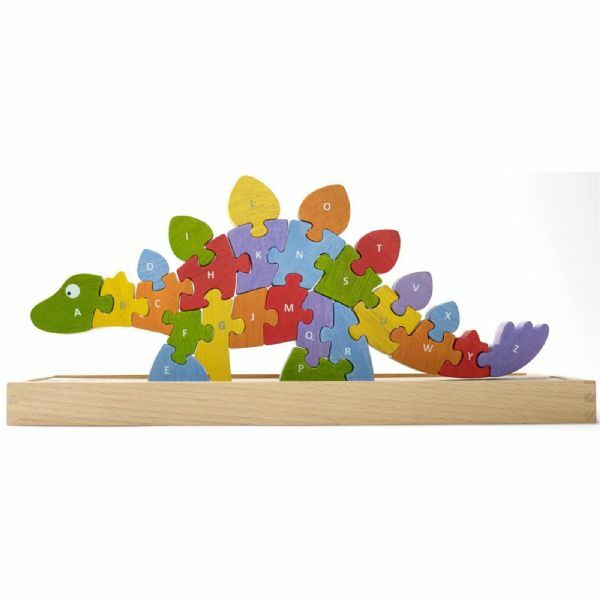 This 26 piece friendly Stegosaurus is a great way to teach the letters of the alphabet with fun puzzle play. 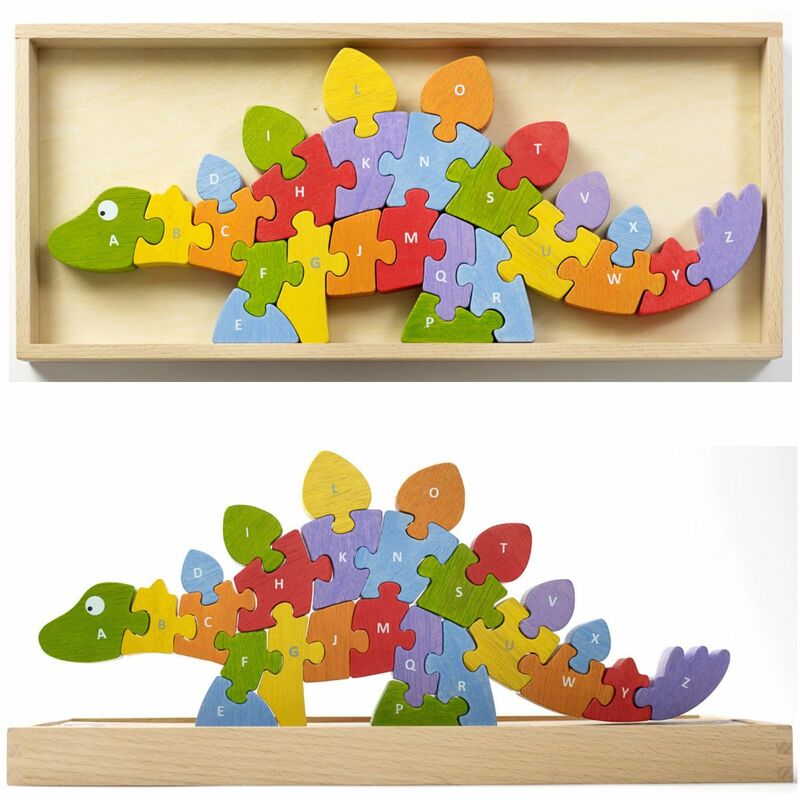 Once built this dinosaur can stand on his own for more play fun. 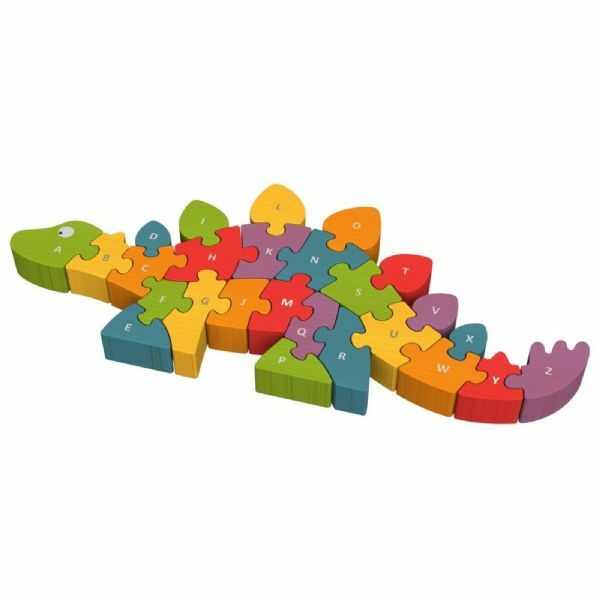 This brightly stained puzzle is sure to bring hours of fun and learning to any child. The Dinosaur A to Z Puzzle comes with an easy to clean storage box made from Beech wood. 2 puzzles in 1. 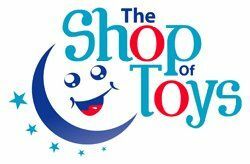 Upper and Lower case letters on both sides.